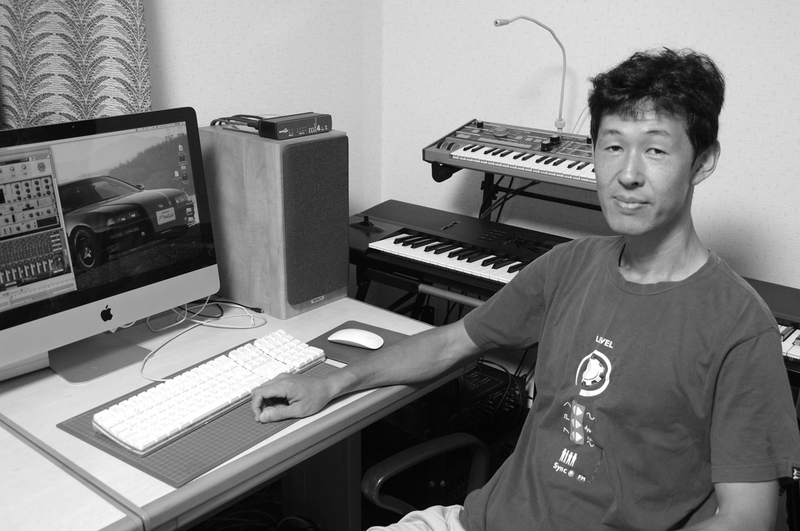 Takeshi Abo is one of the most prolific composers in game music, having been featured in over 150 album releases over the last decade. He is best known for his works with KID and 5pb. on the Infinity, Memories Off, and Science Adventure series of visual novel graphical adventures. His soundtracks for Steins;Gate, Robotics;Notes, and Chaos;Child have gained particular praise for rich themes, varied styles, and huge personalities. In his most comprehensive English interview to date, Abo gives a tour of his career: from the musical and gaming experiences that led him into the industry, to his early experiences porting Western classics for Japanese PCs, to his breakout roles with the Infinity and Memories Off series. He concludes by reflecting on his experiences making the soundtracks and albums for the ongoing Science Adventure series. Oliver: Takeshi Abo, thank you so much for doing this interview. First of all, could you tell us about your musical background, education, and influences? What led you to becoming a video game sound creator? Takeshi Abo: When I was in primary school, I enjoyed listening to instrumental music created ​​solely through synthesizers, for example Yellow Magic Orchestra. The same goes for game music; I recorded and listened to a lot of the things I heard from the games I played, which ranged from Famicom (NES) to Arcade games. In any case, I’ve always been more interested on digital instruments than on live ones, so I frequently went to the music shops to check out all the preset sounds that were installed on the newest synthesizers they put out for sale. I also came to enjoy making simple programs through the BASIC language from the time I was in the latter grades of primary school, and I gradually came to think about actually making games myself. Through that, I ended up learning how to make simple graphics and music by imitating what others did. However, I gradually ended up giving the music a higher priority over everything else. An example of this would be that, because I wanted to make music for an action game, I ended making a game that fit the music I made ​​previously. Oliver: Before you became famous through your KID works, you worked for StarCraft Inc. Could you tell us about how you became involved in this company? Could you tell us about how you approached your defining works there? How did you push FM synthesis to the limits on such titles? Takeshi Abo: During my student days, I enjoyed making music of my own using equipment like the Sharp X1 and Sharp X68000. Having created plenty of tunes, I recorded some of them on a cassette and sent it as part of my application to join StarCraft’s staff team. At the same time, I also sent them a game I programmed myself. 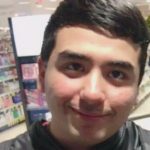 After I got accepted, I began diligently studying how to create sounds and music for their games. I was put put in charge of making and programming everything related to the music for all their titles, including StarFire, Rhyme Star, and FlixMIX. I even took part in Super Famicom (SNES) sound development (editor’s note: through the Might and Magic series). Since creating BGM gives a relatively large amount of freedom to create what one wants, I decided “I’ll make whatever I want to!”; even so, I was mindful that it wouldn’t be possible to use music that ends up being completely different from the rest of the game. When making game music, I always make sure I enjoy myself while still taking things as seriously as possible. 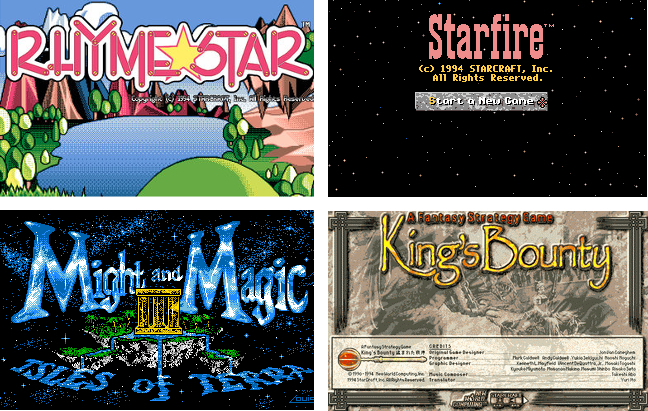 Oliver: At StarCraft Inc., you were responsible for porting soundtracks for franchises such as Land of Lore, Might and Magic, and King’s Bounty to Japanese computers. We’ve heard lots from Western composers about porting Japanese soundtracks. What was it like to work in the other direction? What technical and musical challenges were involved? Takeshi Abo: Porting games originally made in America and Europe to Japan-only computers was something I was very interested in. After all, being able to study the way they made games overseas and see how their ideas differed from the ones we have here provides fresh perspectives. I enjoyed it immensely. Of course, we experienced numerous difficulties when it came to handling the music of the original games. So in almost all StarCraft’s ported works, I ended making the soundtrack by “copying the songs by ear”. To be more specific, I recorded the music in its original form in a cassette and programmed it into the port exactly as I heard it. I think it was because we didn’t have the original data available in a digital format. I also made the sound effects through that same imitation process and I added them into the music afterwards. Oliver: While you composed a large number of titles at KID, it was the Infinity series and Memories Off series that proved best-sellers. Could you tell us how you captured the tone of these romance visual novels? In particular, how did you capture the personalities of the characters with your numerous character themes for these titles? Takeshi Abo: This isn’t just specific to the Infinity Series and the Memories Off Series. For all the games I work on, the first thing I do is read their stories, grasp the setting, and interpret the personalities of each character as fully as I can. The most important things for me are to consider the emotional flow of the game, as well as the events and situations brought on as the plot advances. So I wrote the impressions I got from them as itemized memos, which I then used to construct a musical worldview for the game. Indeed, I really place a lot of worth on the first impressions I get. The strong points of this approach are that it allows me to make songs with a better musicality and relationship to the worldview than if I were just designating which song goes where. It’s true this approach takes a longer time, but I still think it’s a method for making excellent quality in-game music. Oliver: Both Infinity and Memories off ended up becoming major series, inspiring multiple sequels and spinoffs. How did you keep the series fresh with each of your subsequent soundtracks? What do you think is the pinnacle of each series’ musical achievement? Takeshi Abo: Both the Infinity Series and the Memories Off Series have many titles. Since the Memories Off series shares the same concepts and worldview across its titles, I particularly had to keep that in mind. As Memories Off are titles in which the story moves at an intense pace and that places a special emphasis on the changes in emotions, I tried to maintain a constant synchronization with the players’ emotions while making sure to not breakdown the worldview. That’s why I ended up arranging the music for the game that served as the pioneer to the entire series, Memories Off, so that each song played and ended at the appropriate points. About the Infinity Series, since it features a focus on theoretical and sci-fi elements, I kept geometric music in mind for it. I really love these kinds of stories too, so these projects ended up showing quite strongly my own musical sensibilities and tastes. That’s why I enjoy a lot of its music even today. Oliver: With the exception of Synergy’s original albums, your music only started to be heavily featured on disc during the development of these two series. Did you ever expect your music to become so wildly popular? Takeshi Abo: It’s a bit unexpected, but I’m very happy to know that there are people that actually liked my work. When I entered the industry, I thought “I really want to make a CD of my own music someday”. I’m very grateful that these series finally allowed me to fulfill this wish. Oliver: Through your various game and album works, you keep extremely busy. How do you balance priorities? Takeshi Abo: As I’m working for a company that makes many games, it’s natural I have to make many songs at the same time. While the process of developing a game is extremely challenging, I make sure that I full attention to every project I’m involved in. I make sure I fully understand the titles, which goes from reading their stories to grasping their setting before I even start working in them. 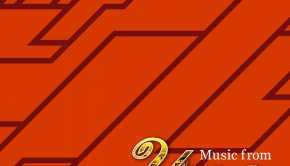 Oliver: In most of your works, you have produced the background music while 5pb. 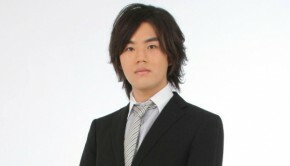 president Chiyomaru Shikura produced the theme songs. What inspired this approach? How involved are you in developing the concept of theme songs? Takeshi Abo: During my time at KID, both Shikura-san and I worked together multiple times on the Memories Off franchise. Shikura-san was in charge of the theme songs while I was in charge of the BGM. I think we had a great affinity even when it came to our schedules. In the end, I have never actually worked on the composition of a theme songs, though I have arranged them into instrumental tracks that are used as main themes. While I think it is fun to make theme songs and main themes, at the same time we have to be very prudent. After all, the purpose of these tracks is to encapsulate the game’s story. Oliver: After KID’s closure, you became involved with 5pb. / MAGES. Could you tell us about making this transition with Shikura? How does the work environment of these companies compare to KID, and what is your work process like these days? Takeshi Abo: When KID suddenly closed its doors, it was a time of great chaos for us. No one among the employees knew about the problems, so we didn’t realize what was happening until the very day the company closed its doors. Thankfully, Shikura-san instantly led me to salvation. I went to many meetings following the closure and, as a result, started working at 5pb. The environment didn’t change at all from back in KID. The workplace was the same size as always. But when it came to equipment, I did end up buying the Mac that has since become the main axis for my works. Oliver: In 2008, you worked on Chaos;Head, a critically acclaimed psychological visual novel by 5pb. This soundtrack contained a wide array of styles from ambience to more light-hearted themes. Could you elaborate on how the scenario inspired this diverse approach? Was it a challenge composing such a variety of different sounds? 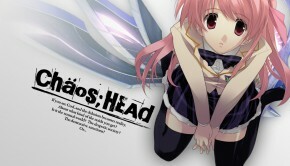 Takeshi Abo: The music for Chaos;Head has two faces: the one constructed by the folks from ZIZZ STUDIO and the one I made myself. In my case, I composed 21 of the songs for it. Normally, it’s pretty common for adventure games to have music that gets played in multiple scenes, but since Chaos;Head has many shocking scenes and many dark ones designed to instill fear in players, it ended up having several songs that specifically matched these moments. Even so, it wouldn’t be wrong to say that the approach I took for this game was basically to make music that fit a story about human emotions. I greatly enjoy myself whenever I have the freedom to create a range of music. I was able to represent the Science Adventure series through the music I wanted to make for it, even though I also get some difficult requests along the way. Oliver: Chaos;Head was followed by Steins;Gate and Robotics;Notes, which both saw even greater success. 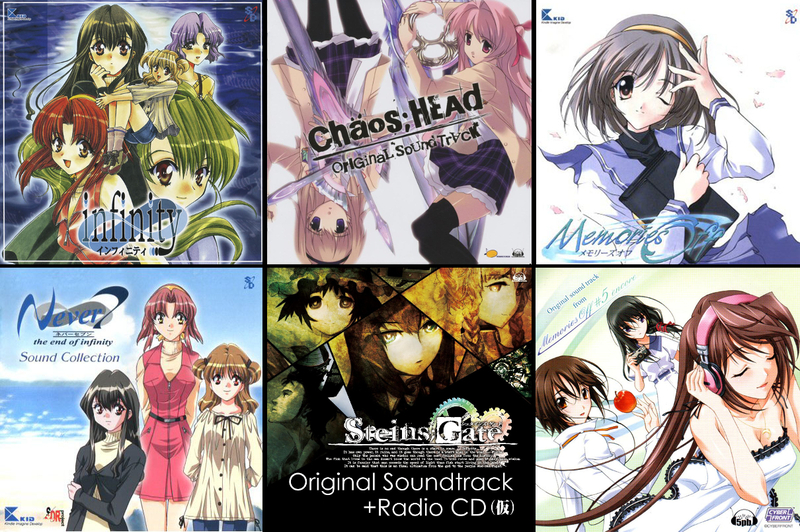 Was composing for these games any different compared to Chaos;Head? What were some challenges that you faced? Takeshi Abo: While Steins;Gate and Robotics;Notes are both part of the Science Adventure series, the keywords that serve as their main images are very different for each of them. If I may compare them with the states of weather, Chaos;Head is rainy, Steins;Gate would be cloudy, and Robotics;Notes would be clear weather. 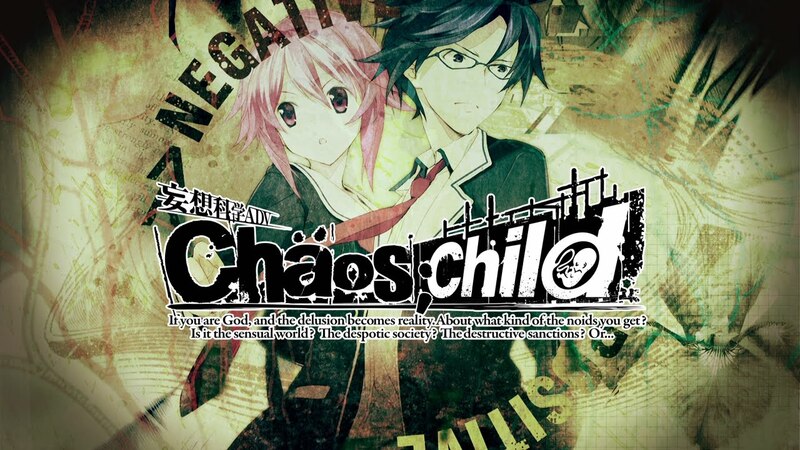 And the latest entry, Chaos;Child would be stormy. 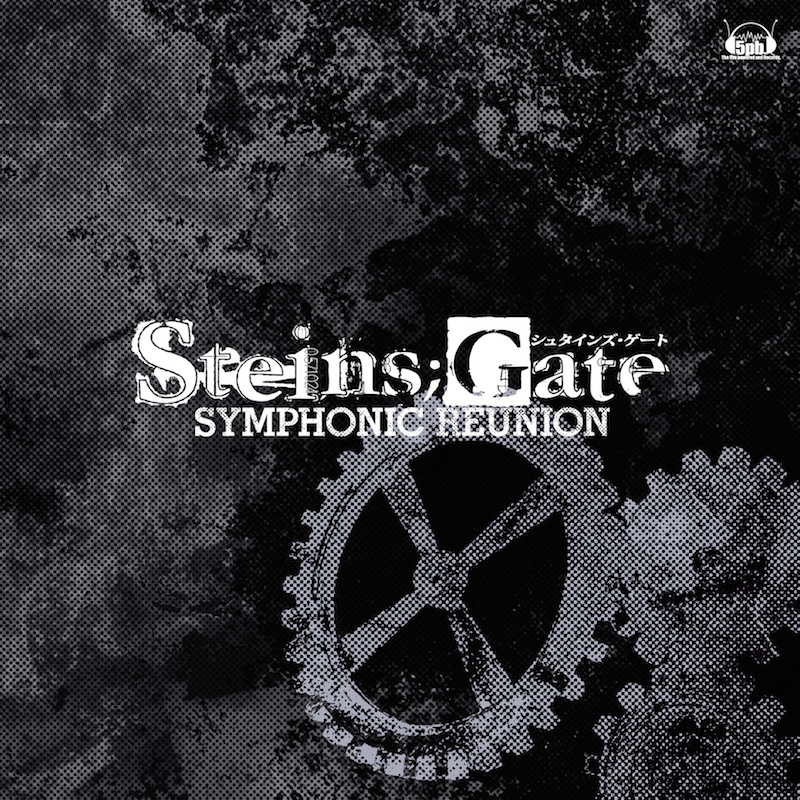 Oliver: In particular, the Steins;Gate main theme “Gate of Steiner” was praised for being especially memorable and multifaceted. What was the creative process involved for that specific track? Do you think it has become your most iconic composition? Takeshi Abo: I’ve made the theme songs for each of these games, but “GATE OF STEINER” is one I’m especially fond of. When I made this theme song for Steins;Gate, I tried making it as a song that could represent the entirety of the game’s story by itself. In it, I included being conscious of the mysterious and unknown regions, the bonds with the companions, the repeating tragedies, the conflicts and tenacity, the pain and affection… even the determination and evolution, which is why the music accelerates as the song nears its climax. Since it’s a song I made once I finally grasped the entirety of the game’s story, once you manage to reach the finale that marks the ending to the entire game, try listening to “GATE OF STEINER” once again. 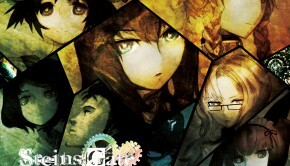 You might be able to see how all of Steins;Gate is contained within the song itself. Oliver: Your themes for the Science Adventure series have been celebrated with several arranged albums. Could you tell us more about what inspired Steins;Gate Symphonic Reunion, Science Adventure Dance Remix, and Steins;Gate 8bit? What was it like to hear your pieces performed by a studio orchestra? Takeshi Abo: I think it’s wonderful that people are interested in my works on CD. These particular albums were made under different circumstances. Steins;Gate Symphonic Reunion was made by several arrangers and performed by multiple musicians, I ended participating in it as more of a spectator. I wasn’t really involved in the creation of Science Adventure Dance Remix at all. In contrast, for the Steins;Gate 8 bit Original Soundtracks, I was responsible for all the arrangement and implementation. I programmed all the BGMs through FM and PSG sound sources. I inputted the music data using a language called MML, and I also made the synthesizer patches through numeric data. Oliver: Did this album feel like revisiting your roots? Takeshi Abo: Yes, since it was all very similar to the environment I worked in during my StarCraft days, it made me very nostalgic and I greatly enjoyed making it. Oliver: Chaos;Head, Steins;Gate, and Robotics;Notes were all adapted into anime, with you being credited. What was your role in the music for those series? How did you adapt the series’ sound for these animations? Takeshi Abo: I wasn’t involved in any large way with the anime versions of Chaos;Head and Robotics;Notes. However, I was appointed to work on the music for the anime version of Steins;Gate together with my co-worker Jun Murakami-san. I ended up making the music anew. While it inherited the same atmosphere the game had, I also had to keep on mind that the music had to be synchronized with the anime’s motions while I made it. It was the same case for the movie, so I made new music for it that was based from the same world view. Since I had to synchronize the music at per-second levels with the events shown in the movie, it was a very different approach to the one I use for making game music, and that ended becoming a large impression I placed on my composition and arrangement for it. Oliver: You have dedicated much of your recent times to scoring Chaos;Child, Anonymous;Code, and Steins;Gate 0. How did you approach these titles? Can we expect album releases for them? Takeshi Abo: In contrast to the colorful and emotional hues that served as the image for Robotics;Notes, Chaos;Child has a completely black and white image. Since it has a pretty compelling story, composing the music for it was very fun. By the end, I even wanted to create more songs for it. That said, the process I used for these games is basically identical. I start with reading the story, I list up the impressions I felt at the time and the kind of music I’d like for each scene, and after reading them several times, I make up a general sound list organized by chronological order. I make the music while holding these impressions as extremely important material. The soundtrack CD for Chaos;Child will be included in the limited edition for the Xbox One version. However, there are some new songs I composed after the soundtrack CD was completed, so I personally want to release them too if there’s ever a chance to. Oliver: Many thanks for your time today. What can fans of your music look forward to in the future? Do you have any messages to readers around the world? Takeshi Abo: I’m very happy to partake in this interview and also grateful to everyone who listened to my music. My focus isn’t just limited to Japan: I’d be very happy if there were more chances for everyone in the world to interact with each other. 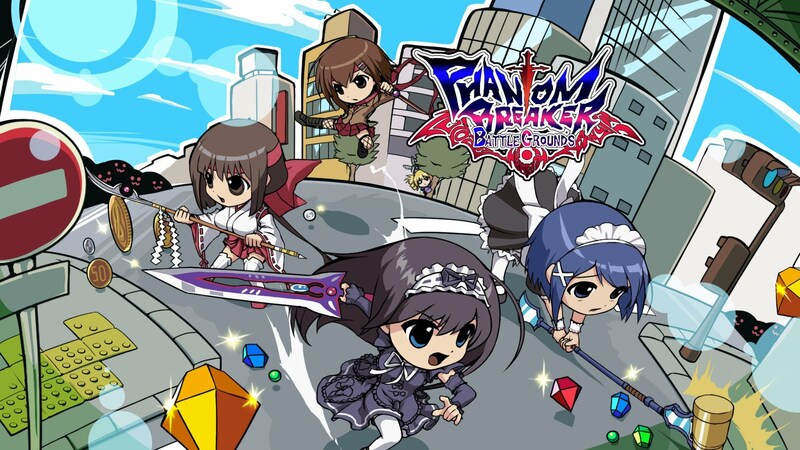 Since we’re releasing Phantom Breaker: Battle Ground globally through Steam and Steins;Gate is localising this week, I’m hoping there’ll be more worldwide opportunities in future. In the future, I want to continue making music that perfectly matches the stories it’s made for, so I hope you continue supporting my work. Posted on September 15, 2015 by Oliver Jia. Last modified on September 14, 2015.